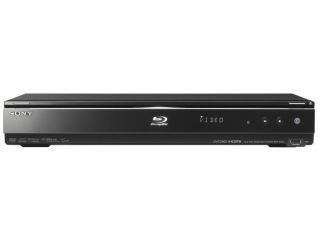 Sony has announced its first-ever web-streaming Blu-ray player at this year's CEDIA event in Atlanta. Although it seems that Sony had nothing left to reveal after its 3D-centric IFA showing, the company left a little 'surprise' for CEDIA in the form of the BDP-N460. The player will be able to log on to Sony's version of the web, called the Bravia Video Internet platform. From here users will be able to access content for free from YouTube and Slacker. With a firmware update, the player will also be able to access Netflix (obviously US only). Other notable features include: onboard decoding for both Dolby TrueHD and DTS-HD Master Audio, and BD-Live compatibility. There's a lack of storage space, though, so you will have to use the supplied USB port to pluck a memory stick in. Another annoying missing feature is Wi-Fi – quite why the company feels the need to omit Wi-Fi from a web-centric system is beyond us. There's no word on a UK release date but the system will be out in October for a $250.